We understand that there is no timescale for grief and that everyone’s experience is different. That’s why we tailor our bereavement support to meet your needs whether they are emotional, physical, financial or social, whether you are young, old, an individual or a family group. 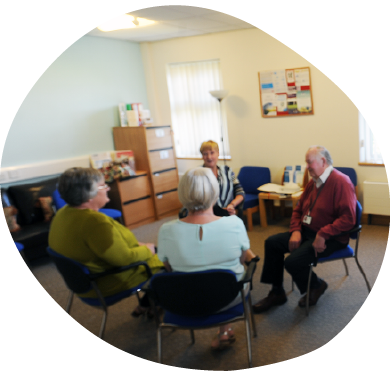 In our communities, we have set up Bereavement Help Points to help support people who are grieving, irrespective of how long ago they were bereaved and the circumstances of the death. We believe that enabling our communities to understand bereavement is essential and we provide training for schools, employers and a wide range of other organisations.